Hero turned star character artiste Jagapathi Babu is making his comeback to leading man roles with an intense action entertainer titled Patel Sir. The film is being directed by debutant Vasu Parimi. 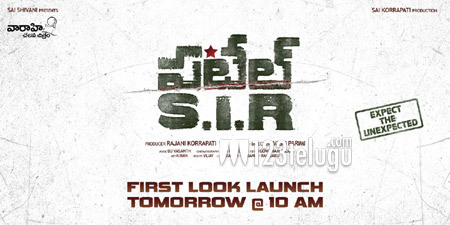 Patel Sir’s first look will be released tomorrow morning at 10 am. Tamil actress Padmapriya, who’s returning to Tollywood after Sharwanand’s Andari Bandhuvayaa, is the film’s leading lady. Patel Sir is being produced by noted filmmaker Sai Korrapati on his Vaaraahi Chalana Chitram banner. DJ Vasanth is composing the music.